#N0.5: Bride And Groom Poses (A Clear Background) - Set poses to flatter your clients in front of the camera! 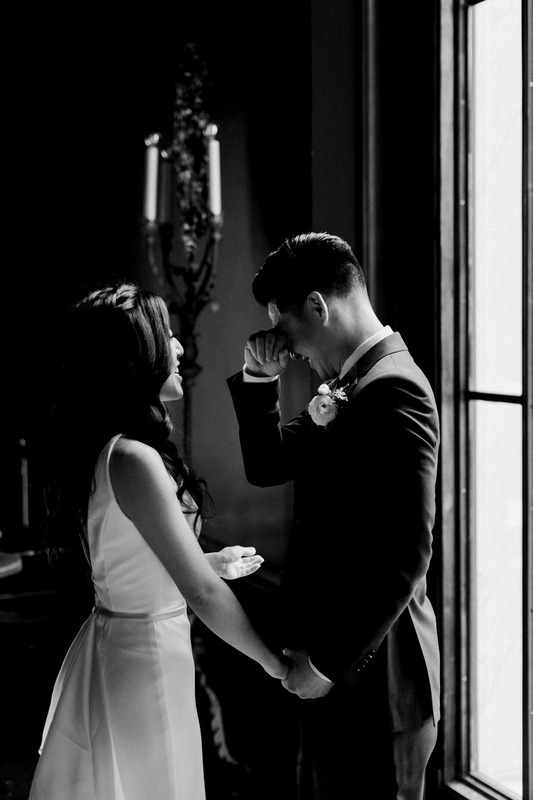 This will contribute to their wedding story as a whole, alongside producing flawless images of their special day. Do you know what’s just as important as the poses you set? The background which your clients are posing in front of, of course! You can direct your clients in the most elegant of ways, but if you don’t have a clear background in shot, the quality of the images you’re shooting will instantly deteriorate. Even the best poses can suffer if the background is cluttered, or has conflicting lighting/ colours. Before you take the shot, take a look at the area where your couple is posed and make sure that it avoids any distractions which forces the eye to focus on other elements in the scene. #N0.6: Bride And Groom Poses (Genuine Expressions) - As you direct your couple in front of the camera, keep an eye on their facial expressions. If you find that their expressions are lacking, the photo you take will not be as strong. Continue to help your couple to relax and enjoy the shoot, but have them share the things they love about one another out loud in between photographs. When they start to share their memories, they will think less about the pose/ camera. You will be able to capture their genuine expressions on screen! This will make for a lovely moment and set of images which you can use later on! 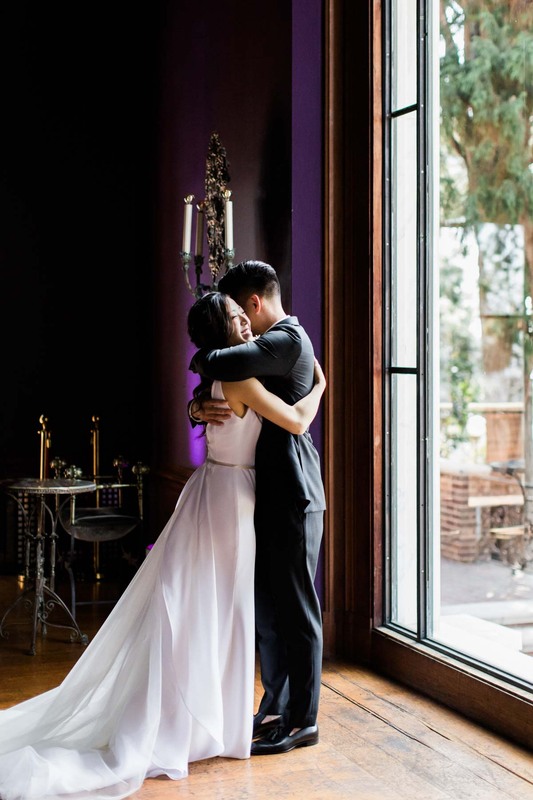 #N0.7: Bride And Groom Poses (Shoulder Angles) - One necessary part of posing your clients is to pay attention to the position of the shoulders. Say you’ve set your couple in a pose where they’re facing one another and you’re shooting from the side. If the Bride’s shoulder is too high, it can be distracting to the image. To eliminate any distracting elements, have the Bride drop down her shoulder and turn her body clockwise. This will help you to give a little separation between your couple, as well in the image itself. 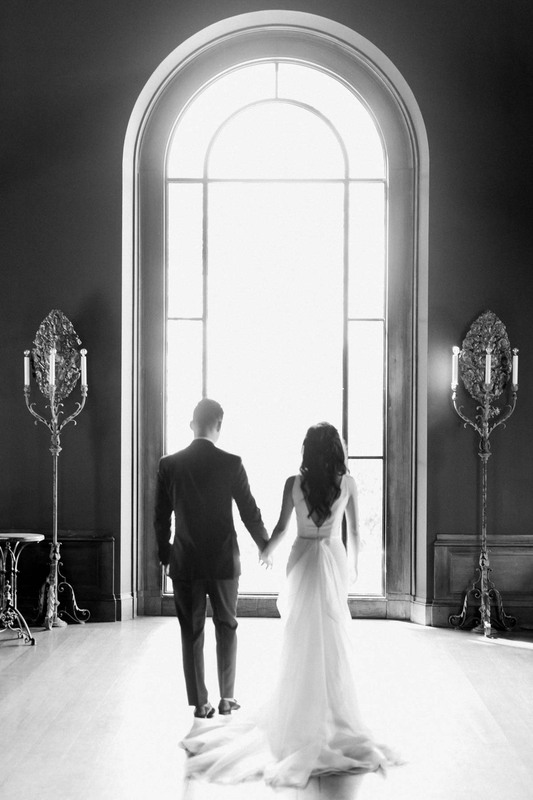 Angles really are important throughout wedding photography so, every image that you shoot should have this in mind. #N0.8: Bride And Groom Poses (Hands & Fingers) - On some of the up, close and personal shots, hands and fingers will be what the camera focuses on. Once you set your couple in the perfect pose, pay attention to the placement of their hands and fingers. If the pose has the couple interlocked, make sure their hands and fingers look natural. If you can only see the Groom’s fingers on the Bride’s waist, it forces you to question where the fingers originated (and causes distractions in the image). To create a seamless pose, pay close attention to the direction and placement of hands and fingers throughout your images. #N0.9: Bride And Groom Poses (The Legs) - Our last point may sound like a bit of an odd one, but the legs are also a subject of focus (or at least they should be!). Let us explain... During the wedding day, the happy couple will be standing for long periods of time (think of the Bride in her heels!). Imagine how tired they must be feeling towards the end of their wedding day. After a while, if they’re uncomfortable, this may show through in the images you’re taking. Yikes! This isn’t what your Bride will want to see after the day when she’s looking back through her photographs. There are ways in which you can help this along. Just adjust the position of their legs and have them switch which leg they want to place their weight on. The adjustments allow your couple to feel relaxed and comfortable. This will create interest throughout the poses. 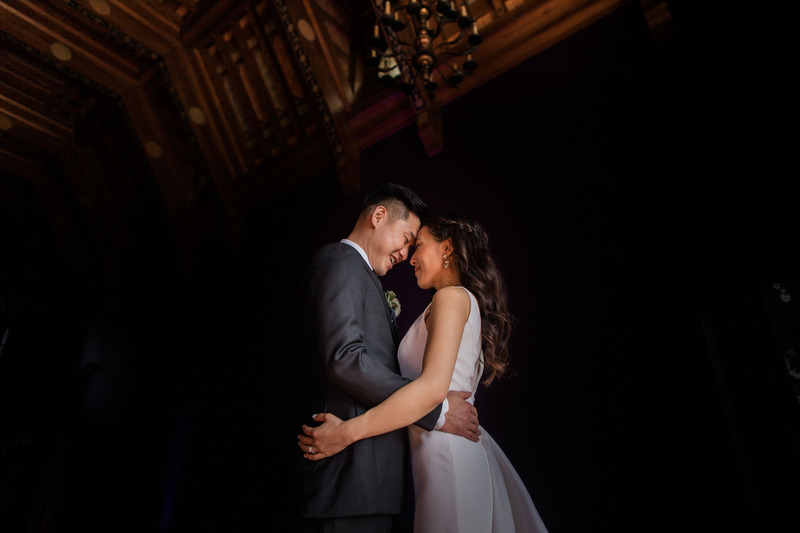 When you set the perfect poses and pay attention to details, the images that you shoot will stand out and create a cohesive story of the wedding day. So, there you are, everyone's happy! So, today we’re going to talk about the importance of a wedding photography contract and what you should be including in yours!